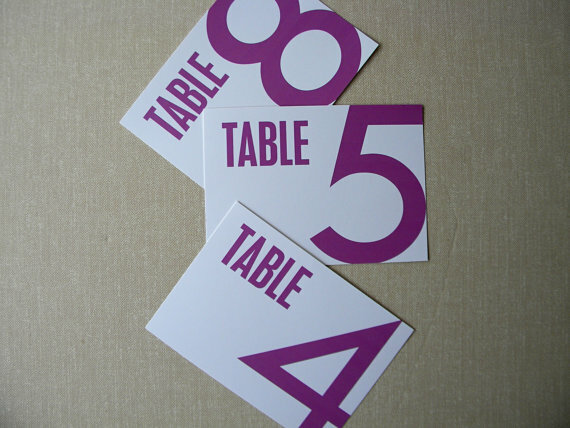 5 AWESOME Table Number Ideas! Hello, loves! Happy Wednesday! 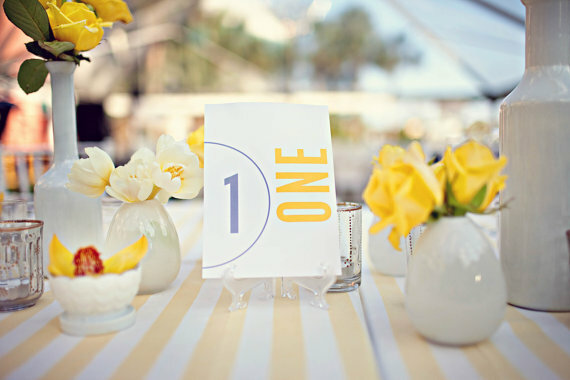 If you’re planning a modern wedding, you won’t want to miss this post! 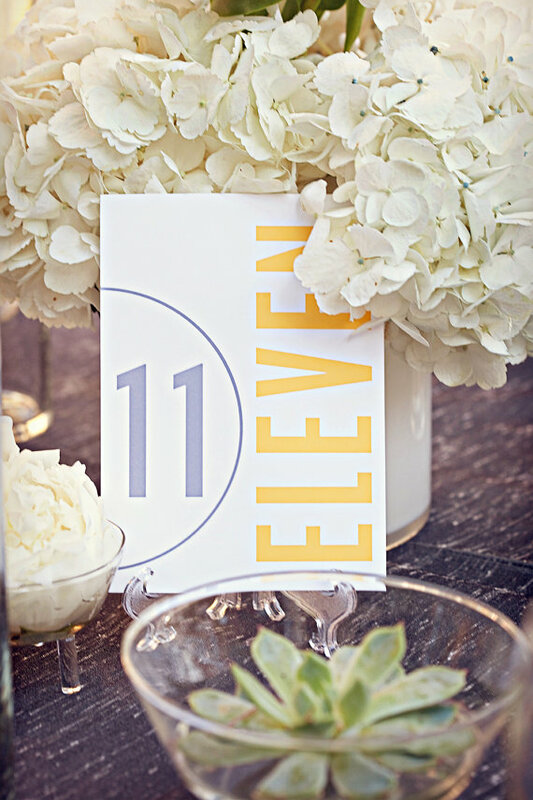 We’re bringing forth reception décor inspiration with fresh, modern table numbers you’re sure to love. 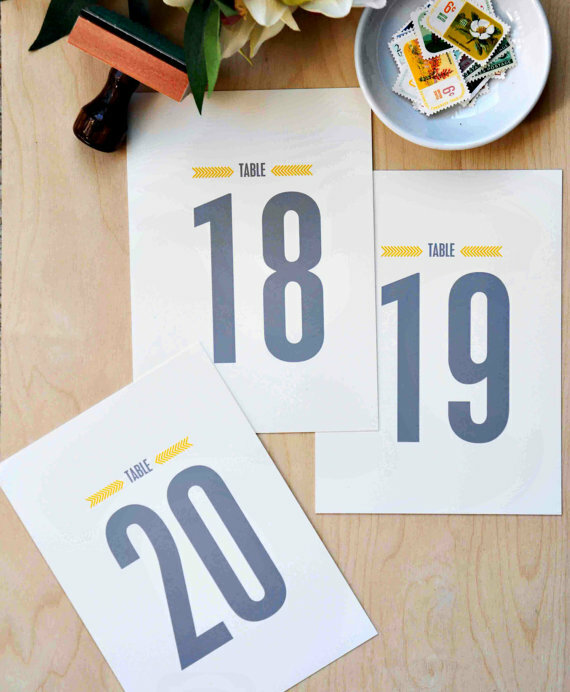 These table numbers are handmade by 2BSQUARED and we’re loving them all. Which one suits your style best? 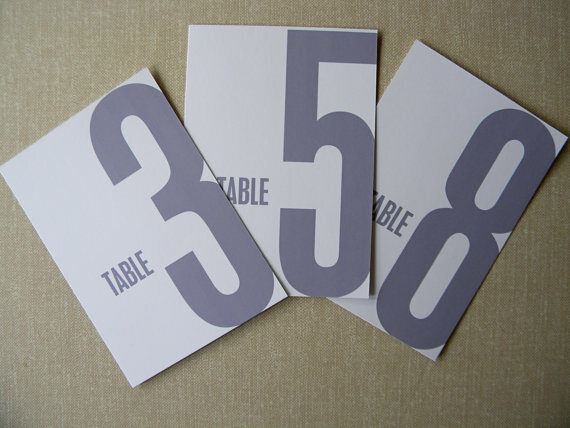 I adore these 5×7″ table numbers in a cheery palette of charcoal and lemonciello ink printed atop heavy white cardstock. This style is shown in the same color palette of grey and yellow as above but features a modern arrow motif. 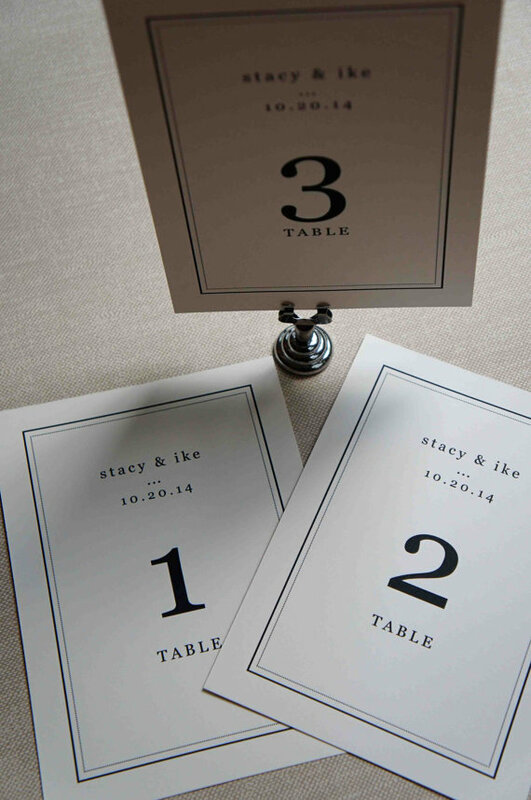 This style, shown in black and ivory, offers a perfectly classic accent to your reception table. Love bold typography? This style is perfect and features grey which can easily be tied into any wedding color palette. Or, if you prefer bold with color (and a horizontal layout), opt for this style in a shade of plum. To view more, visit 2BSQUARED.